from the Mekong Delta to the San Francisco Bay, between two worlds, and many stops along the way. The 2016 Year of the Fire Monkey begins on Monday, February 8. 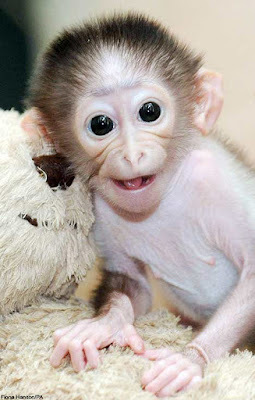 Unlike like year, which was known either Year of the Goat/Sheep/Ram dependent on the celebrants' ethnic and country of origin, this year, it's just Monkey for everyone. Lunar New Year is celebrated by more than 1.5 billion people around the world, from Australia to Zimbabwe, from Bangkok to Paris. 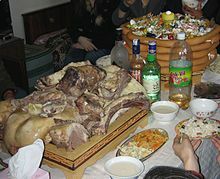 Invariably it’s a Spring celebration, rooted in agrarian traditions, marking the end of another bountiful (hopefully!) harvest; hence the overflowing amount of food and drinks, especially rice, the staple food. It’s known as Chun Jie in Chinese, Tết in Vietnamese, Losar in Tibetan, Seollal or Seolnal, in Korean and Tsagaan Sar in Mongolian. Japan celebrated the Lunar New Year until 1875 when the Gregorian, or western, calendar was adopted, but some of the traditions still persist and are now celebrated on January 1st instead. Children bowing to elder members of the family to wish them health & longevity. For many, especially those of Vietnamese and Chinese descent, it’s a Thanksgiving, Christmas and New Year, all rolled into one, the biggest reunion event of the year. 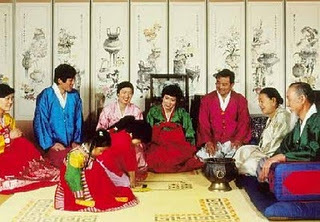 There are many variations of rituals and customs surrounding the occasion, but all essentially have the same common purpose bidding goodbye to the old and looking forward to the new. 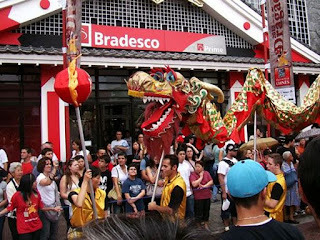 Outside China, and other parts of Asia with sizable Chinese populations, the Lunar New Year festivities often take place in the Chinatowns of the World, from Johannesburg to Sao Paulo. The biggest Chinese New Year Parade takes place outside China. It's the San Francisco Chinese New Year Parade, which began in 1847. Rain or shine, close to 1 million line the streets to watch the parade and over 3 million more watch it on TV. A communications instructor, with an emphasis on the ethnic press, crisis communications and social media, in the Nonprofit Management Program at San Francisco State University. Born and raised in the Mekong Delta region of Viet Nam, but home has been Oakland, California, after a stop at 25 Hawkins Road, Singapore Refugee Camp.